You may be ready to begin college or pushing to finish the last semester and are looking for tips to succeed in school. Regardless of where you are at in your journey, chances are you may be feeling exhausted, confused, overwhelmed or frustrated with school. Trust me, my friend, I’ve totally been there. What if you could get all of your assignments done today, go to work, and hang out with your family without feeling stressed out? It’s not a pipe dream. You can totally do this! You are balancing a lot: school, work, family, sleep, health, and maybe even a hobby. Of course, you feel tired overwhelmed by everything you have to take care of. I’m wiped out just reading that list! I was a full-time online student while also working a full-time job. It is a lot to balance and it can feel overwhelming. For my own sanity, I developed strategies and systems to help manage all of my deadlines and be super efficient with my time. Today I am a college professor and I love sharing these proven strategies and tips to succeed in school. 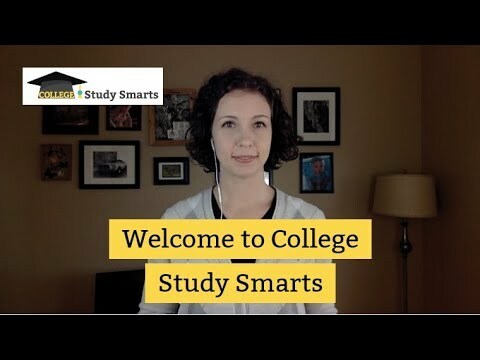 I love helping college students excel…including you! I want to see you succeed and earn your degree. When you practice the right skills you will see better grades and more passed exams without sacrificing more time. See how I can help you and take the free 7-Day Study Challenge to maximize your study habits.